Diabetes | Marathon Orthotics, Inc. This orthotic is recommended as a tool to prevent Diabetic foot complications. 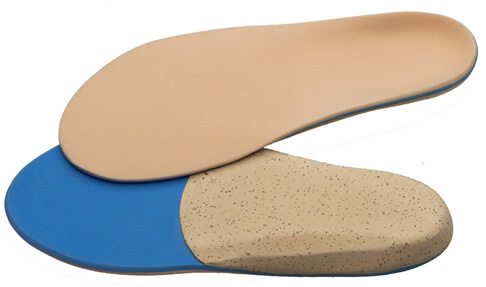 This is a very popular accommodative orthotic. It is remarkably comfortable and will aid in the prevention and treatment of plantar surface foot problems associated with Diabetes. Simply write Multi-Density Diabetic in the comments section on the prescription order form. If you supply us with the patient’s weight and age, we can take care of the design and material choice. Select your own shell from the chart below and mark it in the Catalog Choice section of the prescription order form along with top cover combination P.
If a cut-out is required, check Cut-Outs and indicate the area on the foot by illustrating the location on the foot diagram on the prescription order form. Also, please mark the area on the cast. Note: For more information on our Medicare Compliant diabetic 3-Pair and Shoe Program, click here.